This post is sponsored by Dannon. All thoughts and opinions are my own. By now you’ve probably caught on to my hostessing M.O. : let them do it! I love having something interactive for guests to do and that usually involves the food. Making their own drink, choosing what goes on their kebab, or in today’s case making their own dip for crudite or fruit! 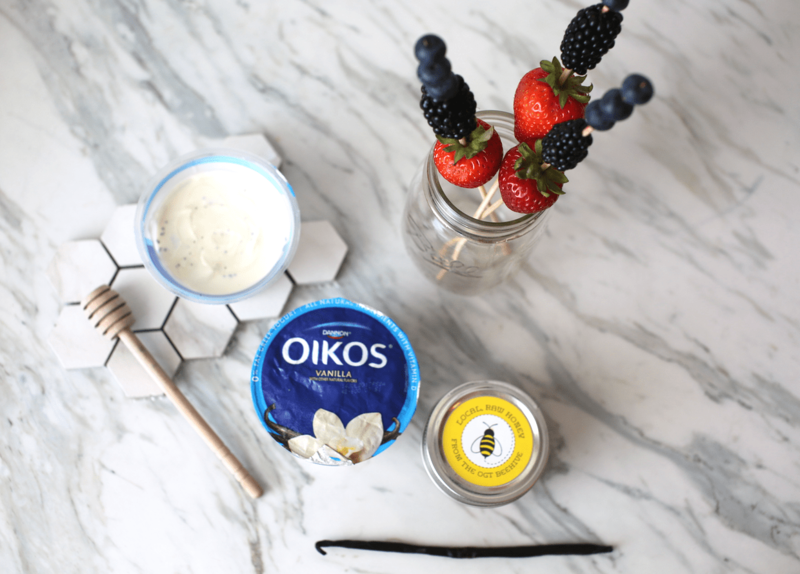 The Dannon® Greek Yogurt line Oikos® (grab a coupon here!) has a huge selection of yogurt flavors, including their Triple Zero line (zero added sugar, zero artificial sweeteners, 0% fat) so guests can gauge how they want to eat while they’re at it! You can see the consistency of these is velvety and thick. 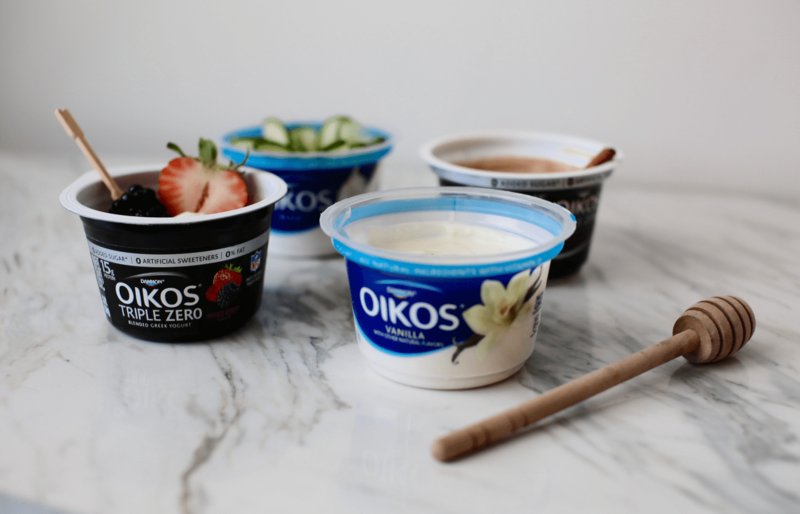 No matter which cup you grab you’ll have that tart Greek Yogurt bite and creamy spoonful. 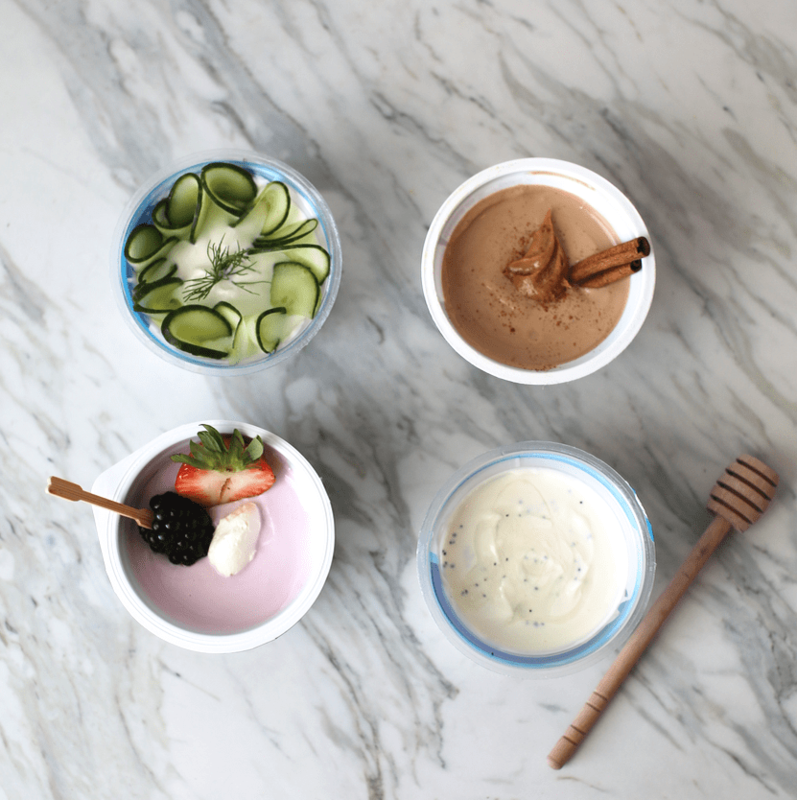 Here are 4 dip recipes (3 sweet, 1 savory) that guests simply stir in ingredients and enjoy! 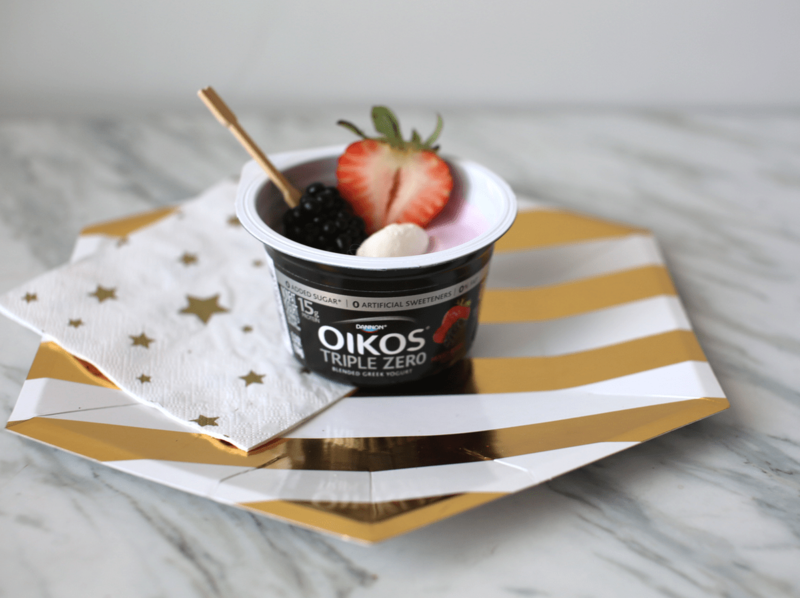 Added bonus: you can make the dip right in the Oikos cup so less dishes for you! Let’s start with my favorite first: Greek Yogurt Tzatziki Dip. 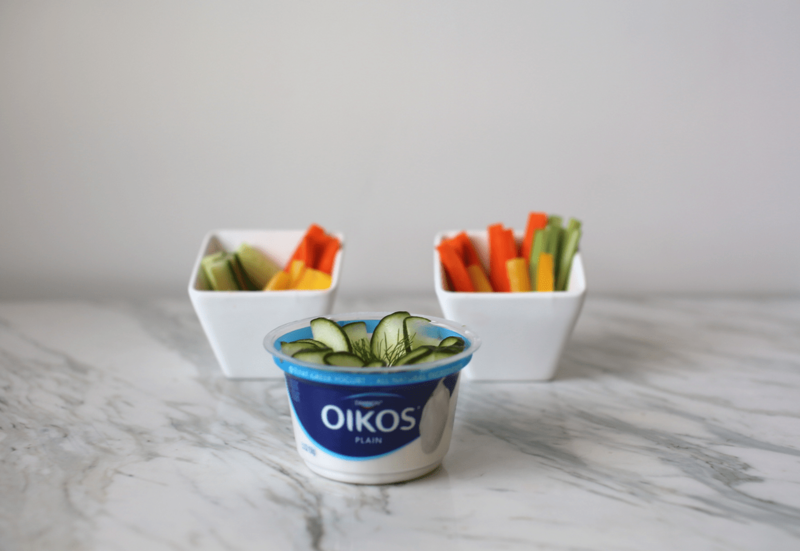 Take your Plain Greek Yogurt Cup, thinly sliced English Cucumber and fresh Dill. Fresh garlic and lemon juice gives it that perfect kick. Mix it all up and enjoy! 2. Chocolate lovers! All this is is the Dannon Triple Zero Chocolate with a dollop of peanut butter and a sprinkle of cinnamon. 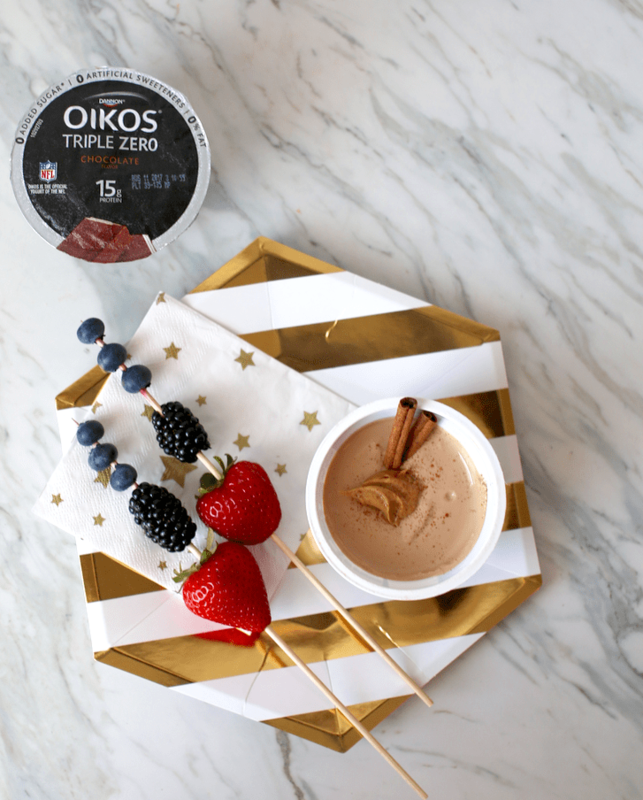 You can swap this out for your favorite nut butter, but it makes every dip of fruit chocolatey and delicious! 3. Mixed Berry Fruit Dip – my favorite favorite fruit dip has marshmallow creme and cream cheese, not exactly good for you. But with the fruit flavor bomb of the Mixed Berry and the cream cheese (reduced fat, full fat, whatever you prefer!) it gets pretty close to that yumminess I love! 4. This one is simple flavor profile dip that will appeal to the masses. Just shave off some vanilla beans from the pod for that speckle of color and flavor, drizzle with honey, and enjoy! Simple and tasty! 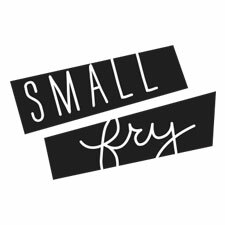 At least one of this round-up of mix-ins should grab your guests taste buds, give them something fun to work on and converse with the other guests about, and again, easy easy clean up is what we aim for! Sponsored by Dannon Oikos, find them at Walmart and use this COUPON to get $1.00 off the single serve cups!